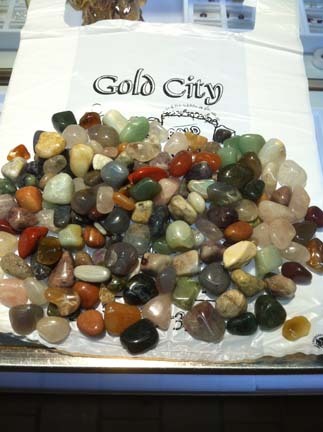 GOLD CITY has been making their own durable, performance-oriented equipment for the Lapidary, Jewelry and Metal Finishing trades for over 25 years. Their products are easy to use and very good quality. We also use GOLD CITY Tumblers because all of our products are also very children friendly and safe. All Tumblers come with an easy to read professional guide to tumbling. A 3 dollar value for free! !